Roller Shutters are a fantastic investment for your future as they substantially reduce the costs of heating and cooling. They also offer a visible deterrent, protecting your home against burglary and vandalism. Roller Shutters offer you ultimate privacy and are also perfect for shift workers as they allow you to control the amount of sunlight in your room. Ace Roller Shutters are operated from the comfort of your room either manually with a hand winder or electrically with the flick of a switch. A wireless remote control option is also available. 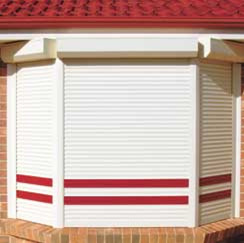 Our roller shutters compliment any exterior decor as we have a wide range of box and curtain colours to choose from. 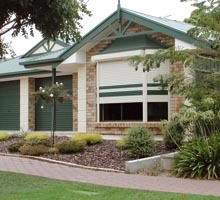 You can choose from one colour roller shutters to multiple coloured roller shutters. Trellis Doors & Roller Grilles are the ideal security solution where air flow, visibility and ease of operation are important. These products are available in various designs, quality and attractive colours.